Some 15 percent of US households, 17.4 million families or about 50 million people, were too poor to buy adequate food last year, according to a new report from the US Department of Agriculture (USDA). More than a third of these households, with as many as one million children, were missing meals on a regular basis, the study found. 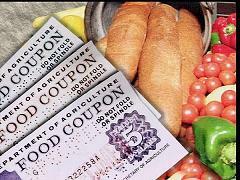 The number of families classified as “food insecure” according to the USDA, which administers the food stamp program, has more than tripled since 2006, before the current economic slump which has brought near double-digit unemployment. Because most people are reluctant to admit they have a problem putting food on the table, particularly when they have children, “food insecurity” was calculated from survey questions about skipping meals or running out of food stamps, combined with comparisons of income and food prices. Virtually the sole cause of food insecurity in America—the largest producer of agricultural and food products on the planet—is lack of money. The poverty rate has risen sharply over the past three years, with an estimated 50 million people living below the official poverty line, which grossly underestimates the income needed for basic necessities. Highlighting the significant inequalities in food resource availability across US households, the USDA report noted that the typical food-secure household spent a whopping 33 percent more on food than the typical food-insecure household of the same size and household composition. In keeping with the Obama administration’s policy of minimizing the depth of the social crisis, the USDA official who released the report, Under Secretary Kevin Concannon, said the latest hunger survey showed a “stabilization” of the problem compared to the year before. In other words, just as many people were hungry in 2009 as in 2008, as though that represented “progress” rather than making permanent a level of social misery not seen in America for 40 years. Concannon said the report was a hopeful one, since the number of hungry people did not increase even though the number of unemployed Americans rose sharply from 9 million in 2008 to 14 million in 2009. He credited food stamps and other federal programs for staving off any further increase in hunger. “This report highlights just how critical federal nutrition assistance programs are for American families,” he said. The number of Americans receiving food stamps under the Supplemental Nutrition Assistance Program (SNAP) rose to 42.4 million. Another one million children received free or subsidized school lunches daily, while some 400,000 pregnant women and nursing mothers received milk, butter, eggs and other food under the WIC program. All told, one quarter of US households have at least one person receiving food stamps or other food aid. However, 43 percent of food-insecure households were not participating in any of these three programs. Despite the complacency voiced by the Obama administration official, there is ample reason to believe that the present nutrition programs, already inadequate to meet the social need, will be further slashed by Congress. The Child Nutrition Act must be reauthorized this year, and the Senate version of the bill cuts more than $2 billion from food stamps in order to pay for the increasing cost of school lunches—essentially robbing children at home in order to feed them in school. Earlier this year, an extension of unemployment benefits for the long-term jobless was funded in part by cuts in the food stamp program. In a society which took seriously the value of human life and the future of its children, the spectacle of 50 million people at risk of hunger, including 17 million children, would be a social emergency. Given that the United States once boasted of its ability to feed the planet, the indifference to the growth of hunger at home is a national scandal. But in the America of 2010, the news about hunger was relegated to small items on the inside pages of newspapers (A21 in the Washington Post, nothing in the New York Times), and failed to make a splash on the evening news broadcasts, more concerned with the engagement of Britain’s Prince William. The hunger report provides another dimension for measuring the social irresponsibility, greed and outright cruelty of the US financial aristocracy, which is far more concerned with fattening its own outrageous bank accounts and assets than with alleviating mass suffering in the richest country in the world. The US Congress began its “lame duck” session Monday, to be followed by a bipartisan summit Thursday between President Obama and congressional Democratic and Republican leaders. The food crisis will not be on the agenda in these discussions. The only hunger being discussed is the truly insatiable craving of the rich for even more wealth. The Obama administration and the Republicans are currently negotiating the terms for the Democratic Party’s surrender to right-wing demands for an extension of the Bush tax cuts for the wealthy. This will cost $700 billion over the next decade, or $70 billion a year, more than the cost of all federal nutrition programs combined. Meanwhile, Obama has praised the proposal from the chairmen of his deficit reduction commission to impose drastic cuts in social programs for the elderly and the poor along with lower taxes for the rich and for corporations and higher taxes for the working class. The mantra of the White House, the political establishment and the media is that the American people have been living beyond their means and must accept a reduction in their consumption. The US ruling elite and both its political parties, the Democrats as well as the Republicans, are indifferent to the growth of hunger and deprivation. Those most intoxicated by “free market” ideology likely regard such social evils as a positive good, since hungry workers are more willing to take any job available, no matter what the wages and conditions. They should be careful what they wish for. The American ruling class is creating the conditions for an explosion from below that all its servants in the political establishment, the trade unions and the media will be unable to prevent. The most urgent task facing working people is to make the necessary preparations to give the coming movement a revolutionary political character. This means the building of the Socialist Equality Party.